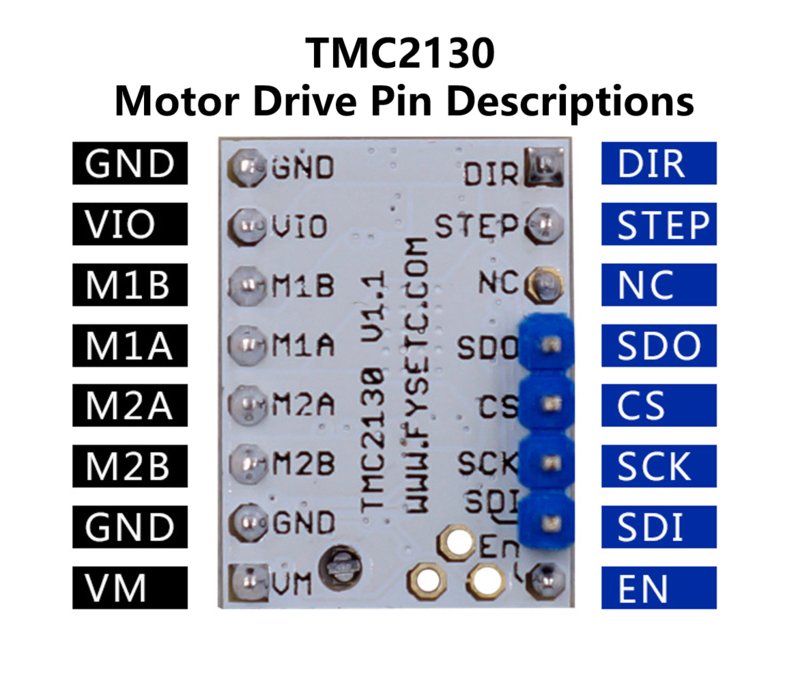 The TMC2130 provides an integrated motor driver solution for 3D-Printing, Cameras, Scanners and other automated equipment applications. The device has an integrated microstepping indexer, the sensorless stall detection technology StallGuard2™, the sensorless load dependent current control CoolStep™ and the completely noiseless current control mode StealthChop™ and is intended to drive a bipolar stepper motor. 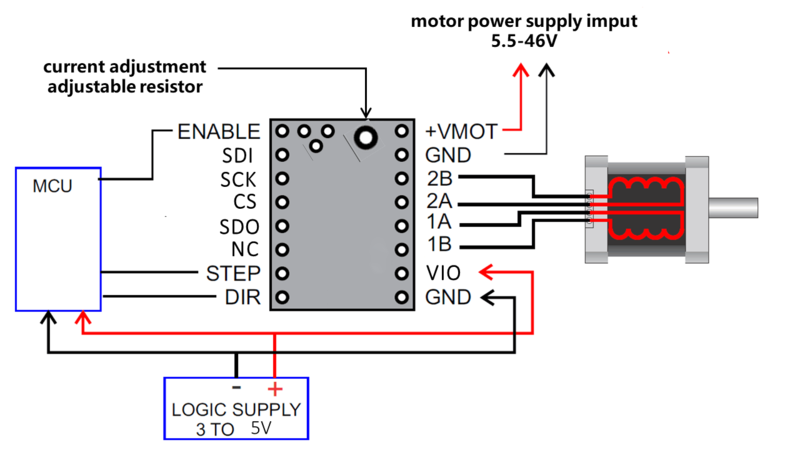 The best way to set the motor current is by measuring the voltage on the Vref pin (0…2.5V) and adjusting the voltage with the potentiometer. The maximum settable motor current is 1.77A RMS (0.11Ohm sense resistors), but the SilentStepSticks can only be used up to 1.2A RMS. 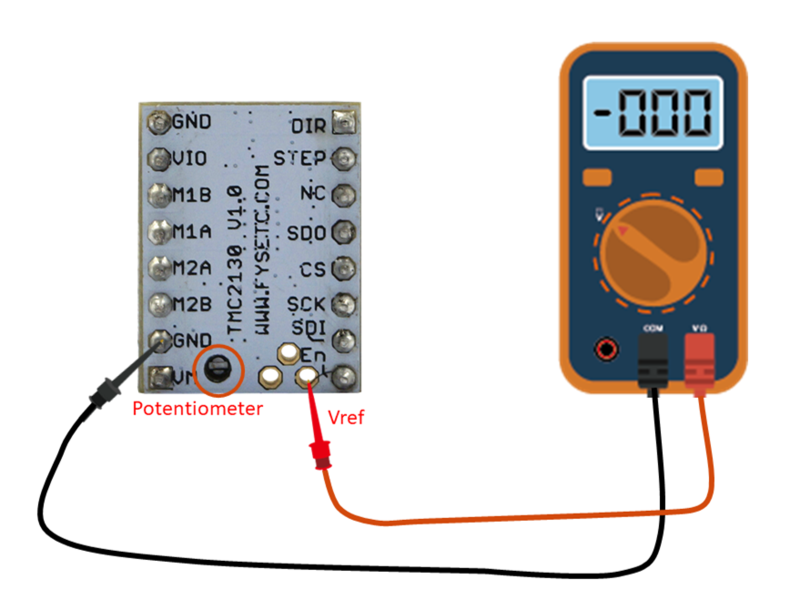 ​ 1.Vref measures G nd and the voltage at the middle of the potentiometer. 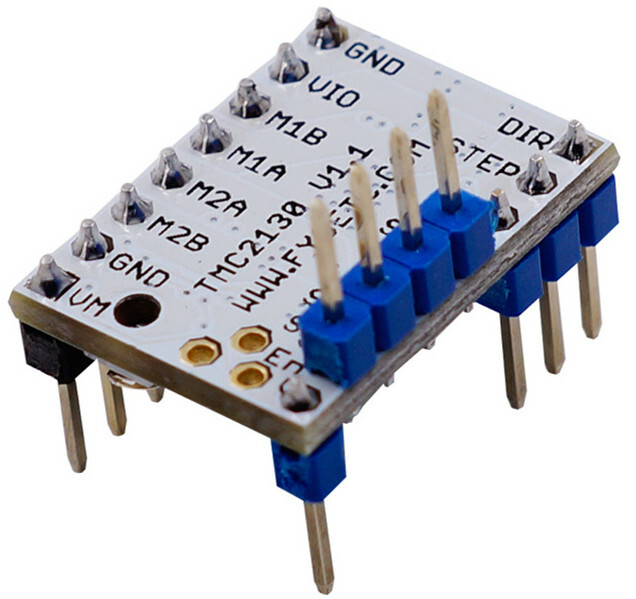 ​ 2.Do not connect the motor when measuring the voltage, otherwise it is easy to burn the driver. ​ 3.Power should be connected when measuring voltage, do not just connect USB power supply. ​ 4.Please pay special attention to directions! V1.0 The default is standalone mode，If you need SPI mode，you must config by yourself. V1.1 SPI mode, SPI pin out（top），you must connect wires to your board，and config the firmware for it，otherwise the stepper can't run. V1.2 SPI mode, SPI&DIAG pin out（bottom）, it’s used for F6.